Charles Brooke joined the Royal Navy in January 1842 as a volunteer first class, serving on the sloop Wolverine for two years and then on Dido and Maeander under Captain Henry Keppel who worked closely with his uncle James Brooke. He took part in the attacks on the Dayaks of the Batang Lupar in August 1844 (when he was almost killed by a cannon ball) and on the Illanun pirate base at Marudu in August 1845. Brooke continued to serve on the China station until 1852 when he resigned to join his uncle Raja Sir James Brooke in Sarawak. In 1848 he had changed his name by deed poll from Johnson to Brooke. Designated tuan muda (second in line of succession after his elder brother, John Brooke Johnson, later Brooke, who died in 1868 aged forty-five), he was appointed resident at Lundu and shortly afterwards to Lingga on the Skrang River where his predecessor had been killed by followers of the Dayak chief Rentap. From then he played a major part in suppressing opposition to Brooke rule. In April and August 1854 and again in 1856 he joined the raja and his forces in expeditions against Rentap and his allies. He had a key role in suppressing, with Dayak and Malay warriors, a rebellion at Kuching (the capital) by Chinese goldminers in February 1857 which threatened to destroy the raja's authority. In the next two years he mounted three expeditions against Rentap, finally driving him from his fortress on Mount Sadok and into Dutch Borneo. With his fluent command of their language and customs and his outstanding courage and generalship, Brooke won the admiration and loyalty of the Dayaks. His last military action under the raja in 1860 was to attack the Malay town of Muka as part of a strategy to wrest the economically valuable sago-producing areas of the north-eastern coast from Brunei control. In January 1863, after the raja's quarrel with and disinheritance of Brooke's elder brother and the raja's final departure from Sarawak, Brooke was in effective control of the state. In 1866 he published his autobiographical Ten Years in Sarawak. The following year the raja's will named him as his successor, and on 3 August 1868 he was proclaimed raja after his uncle's death. Brooke was short and slim, with piercing grey eyes deep set under bushy brows, and in later life wore a full moustache. Brave, ruthless, decisive, pragmatic, austere, dignified, parsimonious, reserved, and self-sufficient, he was dedicated to Sarawak. He disliked pomp and publicity, and habitually wore a blue serge coat, white duck trousers, and a white topi with a magenta puggaree, the latter reserved to him. Both an English gentleman and an oriental despot, his rule was a benevolent authoritarian paternalism. He continued his uncle's personal style of rule, and was accessible to anyone who wanted to see him. He decided policy and concerned himself with details of administration. His long reign was marked by further territorial acquisitions from Brunei, 'pacification' of remaining Dayak and other opposition, organization of the administration, economic and technological development, encouragement of Chinese immigration--he stated in 1883, 'without the Chinaman we could do nothing', and formalization of Sarawak's relations with Britain through a treaty of protection in 1888 (the year Brooke was made GCMG). The treaty secured British protection against foreign aggression and gave Britain control of external relations and defence, while allowing the Brookes internal sovereignty: 'a protected state rather than a protectorate'. Brooke's relations with the Colonial Office were uneasy. James Brooke had established the sovereign state of Sarawak; Charles extended it to its present borders and made it politically and economically viable. His attempt to take over Brunei and what became North Borneo was thwarted by the British government. He outlawed the slave trade and cautiously ended slavery by 1886, and made progress in reducing traditional Dayak head-hunting. Sarawak was not a rich country and Brooke, like his uncle, had neither the desire nor the means to carry out fundamental change. He favoured economic development and wanted European investment, but was determined to prevent exploitation of the country's indigenous inhabitants, and to protect them from speculators and adventurers. His wife wrote that he wanted 'to keep Sarawak for the benefit of its own people, and ... from the devastating grasp of money-grabbing syndicates'. He was suspicious of big companies, disliked large-scale plantations (as in the Dutch East Indies), and refused to allow absentee land-owning. His concerns were strengthened by his awareness of the exploitation in the Congo Independent State: he wrote, 'Congo rules cannot be supported in Sarawak'. He prevented alienation of native land. He established experimental farms and gardens and encouraged the production of new crops, but with limited success. He encouraged indigenous and Chinese smallholder agriculture and, after initial scepticism, the cultivation of rubber, which had become a major export by the time of the First World War. He allowed a few European plantations, and granted an oil concession to the Anglo-Saxon Petroleum Company, a Shell subsidiary, which struck oil in 1910 and augmented the state's revenues. Telephones and wireless were introduced, roads and a short railway built, and the public debt much reduced. Brooke also founded the Sarawak Museum, and its Journal published research on Sarawak. Sarawak became modestly prosperous, but never wealthy. Brooke continued his uncle's taxation policy, taxing the indigenous lightly and gaining a large proportion of revenue from indirect taxation of the Chinese community by farming the government monopolies of opium, gambling, arrack, and pawn shops. In 1867 he wrote that reducing the price of opium would attract more Chinese to settle in Sarawak. Although the farm revenues continued to be important, their share of the total revenue declined after 1900, while that of import and export duties grew. In 1914 Brooke changed the farm system, increasing direct government involvement. He insisted that his officers be 'gentlemen' and not marry until after ten years' service. He did not object if they became involved with local women, strongly opposing the development of a European elite isolated and alienated from the native people. He criticized the British in India for their isolation from Indians. He held unfashionable views about miscegenation, believing that interbreeding between Dayaks and Chinese would produce a vigorous and intelligent breed of future leaders. In 1869 Brooke went to England seeking a wealthy wife who would provide an heir. He visited his first cousin Mrs Lily Willes de Windt (nee Johnson), a wealthy widow. She had inherited a fortune from her French grandmother, Baroness de Windt, and married Captain Clayton Jennings, who took the name de Windt, of Blunsdon Hall, Highworth, Wiltshire. Brooke married quietly at Highworth on 28 October 1869 their daughter Margaret Lili Alice de Windt (d. 1936), aged twenty-one, sister of Harry de Windt (1856-1933), the explorer: they had five sons and one daughter. She was tall, fair, good-looking, intelligent, and a talented pianist. She did not find her marriage easy, with Brooke's parsimoniousness and austerities, and his failure to appreciate her talent. They went out to Sarawak in early 1870 and their first three children were born there, only to die of cholera on the return voyage through the Red Sea in September 1873. They subsequently had three more sons, who survived. From the mid-1880s the raja and the rani were estranged and led separate lives. There had been conflict over money matters and her health had never been good in Sarawak. Her last visit there was in 1895 when the raja was not present. Their eldest son, Charles Vyner Brooke (1874-1963), was declared raja muda in 1893, but relations between him and his father became poor. 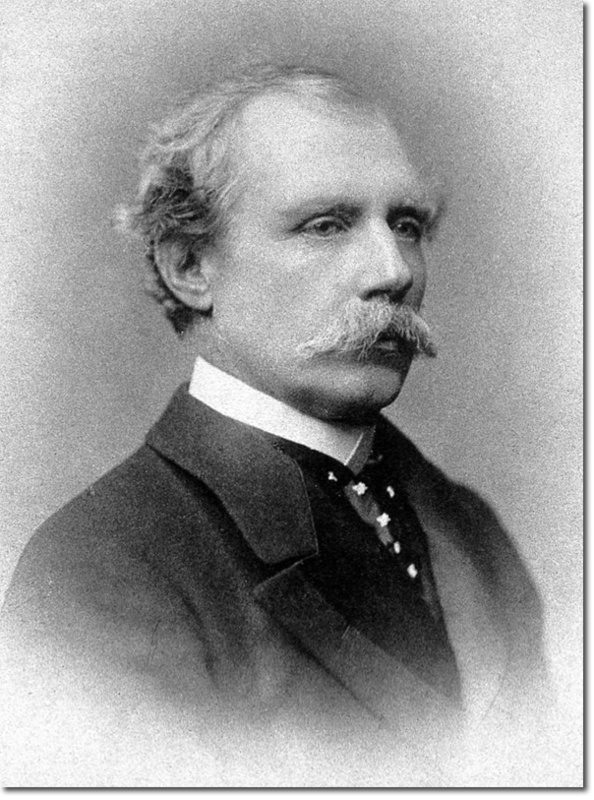 Brooke disliked Vyner's marriage in February 1911 to Sylvia, daughter of Reginald Brett, second Viscount Esher (1852-1930). There was mutual antipathy between Brooke and her. He believed her a bad influence, and she wrote of him, 'now here was a man to make one's flesh creep'. He distrusted Esher, and suspected a plutocratic conspiracy to exploit Sarawak. By 1912 Brooke was considering replacing Vyner by his brother Bertram, but the conflict was patched up. Brooke was a Francophile and admirer of Bonaparte. He considered himself a liberal: Gerard Fiennes wrote he was 'a fearful Radical'. He disapproved of the South African War, and in his pamphlet Queries: Past and Present (1907) he criticized arrogant and vainglorious British imperialism and claimed the empire would end about 1950. Despite his stern and ascetic personal style, the raja was an aficionado of Italian opera and enjoyed singing badly at dinner parties. He was also widely read in contemporary science and theology as well as English and French literature. At his estate at Cirencester in Gloucestershire, where he latterly spent part of every year, he indulged his favourite pastimes of fox-hunting (which in 1912 cost him the sight of one eye) and bird-breeding. Disliking formal ceremony and high society, he was a solitary and detached personality. His treatment of an illegitimate son by a native woman and of his nephew Hope Brooke seemed heartless. Some of his earlier associates, notably Charles Grant, had regarded his replacement of his elder brother as treachery.